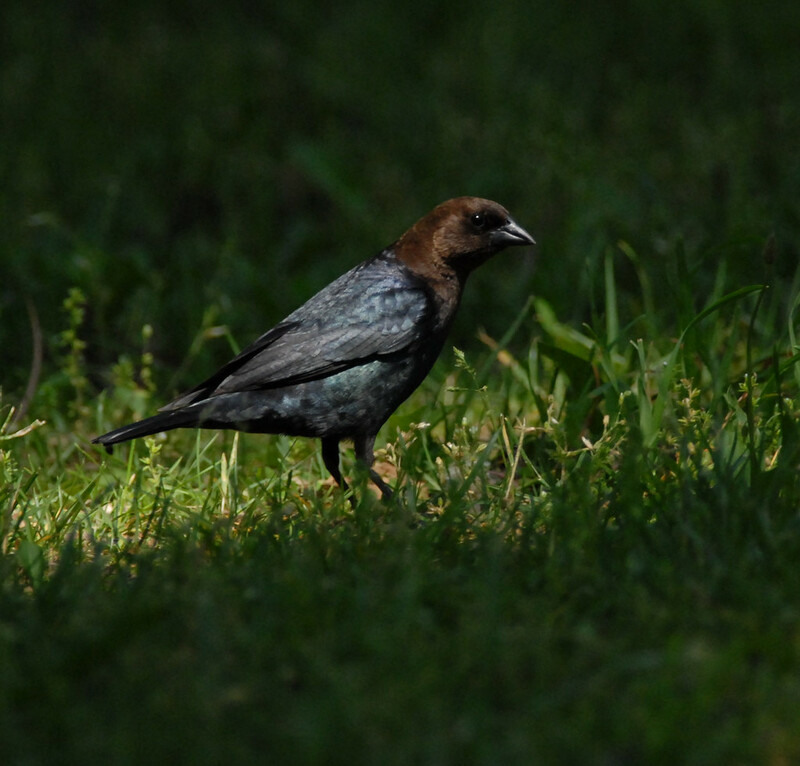 The Cow Bird, like the Cuckoo, lays its eggs in other birds&apos; nests. The baby Cow Birds often grow larger than their nest mates and kick them out. The mother birds will nurture the intruder nevertheless. 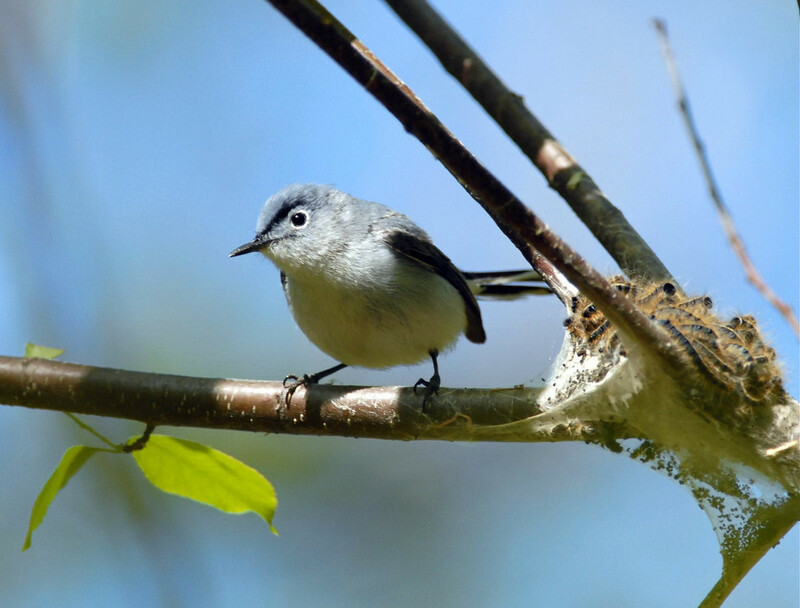 I once photographed a mother Gnatcatcher feeding a baby Cow Bird much bigger than herself. 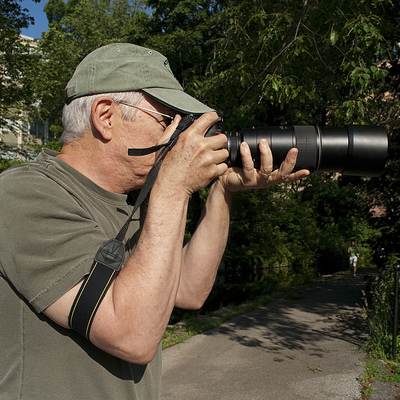 Can you imagine keeping a voracious dependent content on a diet of gnats? 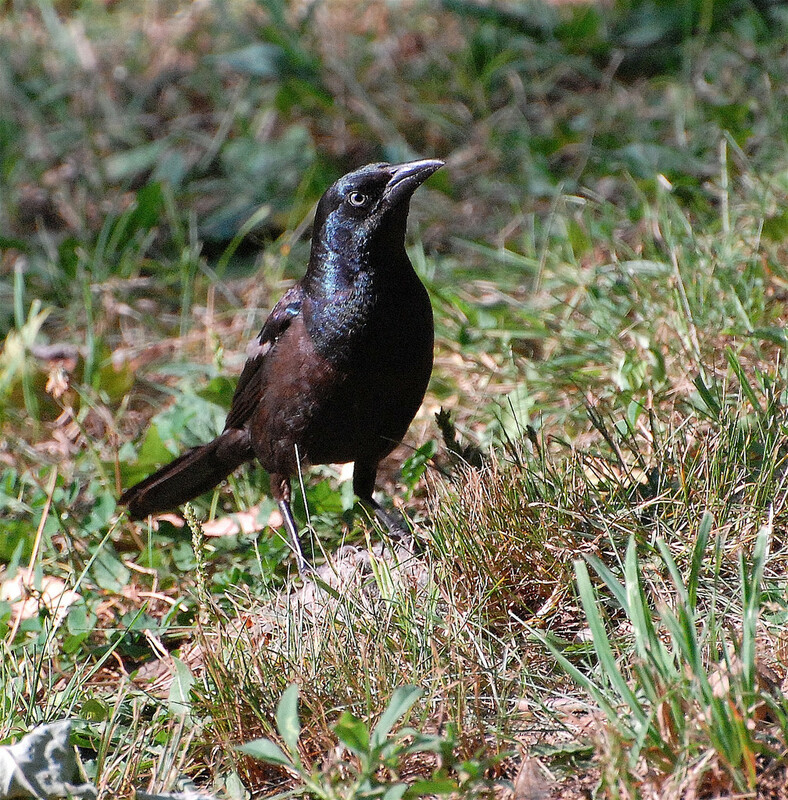 Cow Birds are not to be confused with Bronzed Grackles, which have similar colors, but reversed on body and head. See below.